Where should I stay? Old City, Doi Saket, Mae Jo? STAY INSIDE OR NEAR THE OLD CITY! That’s it. You can stop reading now….. Whether you are one of the lucky few to get tickets to the mass lantern release or are planning to stay in town for the local festivities, you should try to stay in the areas shown in the map above. Stay inside or as close to the Old City square as possible. YPDS guests – Transportation is included to/from the event from a fixed point inside the city area. In past years it has been Prasert land near Nimman Road. It has not yet been finalized, but we expect the same for this year. 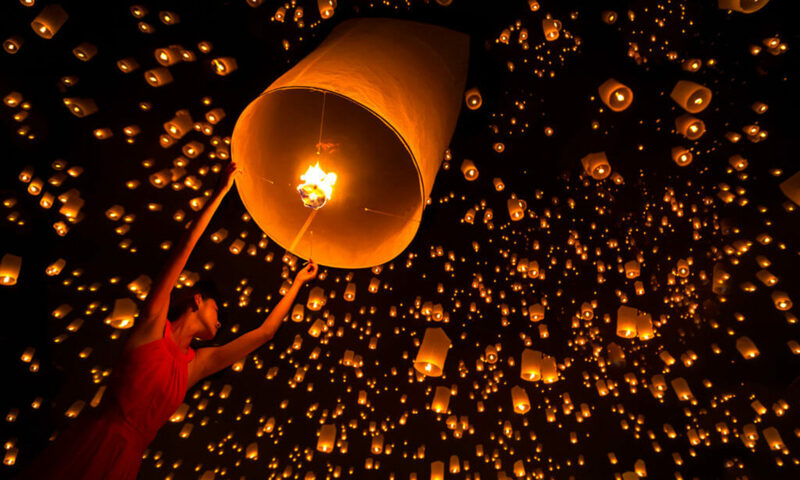 Looking for your chance to join the mass lantern release as seen in this picture below? ?